Sergeant Tuckloy D. Aurello is assigned to the CALEA Project in the Administrative Bureau. He was previously a Traffic Enforcement Unit officer. He joined the Police Department in January 2003. Detective Michael D. Hardie, who was most recently an officer in the Criminal Intelligence Unit, is now assigned to the Area II Juvenile Aid Section in West Hawaiʻi. 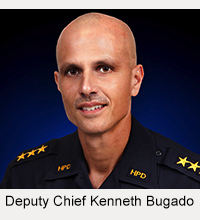 He joined the Police Department in January 2001. Sergeant Christopher A. Ragasa is assigned to the Puna District. 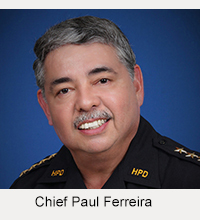 He previously served as an officer in the North Hilo District. He joined the Police Department in November 1994. The promotions took effect May 1.